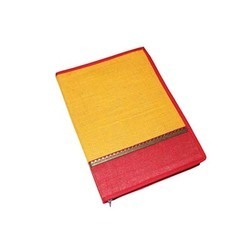 We are a leading Manufacturer of jute file folder and conference folder from Kolkata, India. With the strong assistance of our adept professionals, we are engrossed in providing a large collection of Jute File folder. Our highly qualified professionals make use of superior quality jute and advanced technology to design and stitch this folder in line with predefined industry standards. Ideal for keeping files, important documents, certificates and much more, this jute file folder is available in various alluring designs, colours and sizes as per the clients' needs. 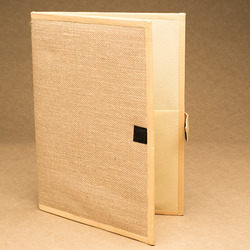 Looking for Jute File Folder ?